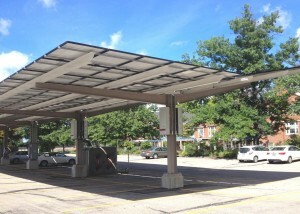 A large canopy over First Unitarian’s parking lot provides shade over 38 spaces, an EV charging station, and 80% of the congregation’s power from a solar array through a power purchase agreement with Solar Action. The church—with its impressive white steeple piercing the sky above the grassy ballfields of Shaker Heights Middle School—agreed to purchase power from the array for ten years, at a penny per kilowatt/hour less than what they previously paid FirstEnergy. Solar Action, LLC which financed the equipment, hopes to recoup the investment by trading the project’s renewable energy credits, a commodity that can be sold to utilities as a way of meeting Ohio’s Advanced Energy Portfolio Standard. Solar Action also qualified for federal Investment Tax Credits which the church as a non-profit would not otherwise get. 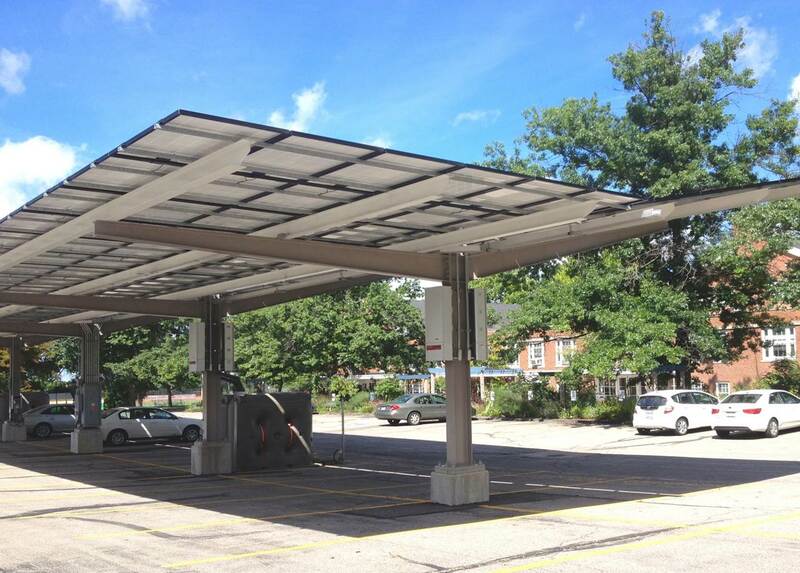 At the end of ten years, Solar Action can sell or give (as a charitable donation) the solar car port to the church. At present, the system is generating 80% of the congregation’s power needs and preventing an impressive 77 tons of CO2 per year. The smooth, clean surface and slope of the solar panels in a good rain storm were not an opportunity to be missed. The church received a grant from the Northeast Ohio Regional Sewer District to purchase four, 650-gallon tanks and a gutter system to capture the rain water coming off the car port. The cisterns then supply water to a community food garden and a permaculture garden that members built by removing some of the asphalt from the parking lot. 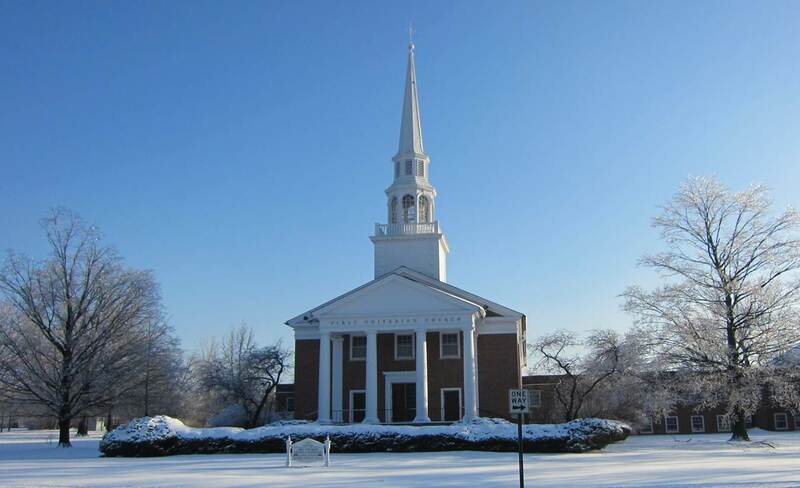 The solar power complements other efficiency measures that the church has taken over the past four years, including replacing the boiler, installing CFLs throughout the building, weather stripping and increasing attic insulation. It has been a continuation of the rigorous process yielding both cost and carbon savings. 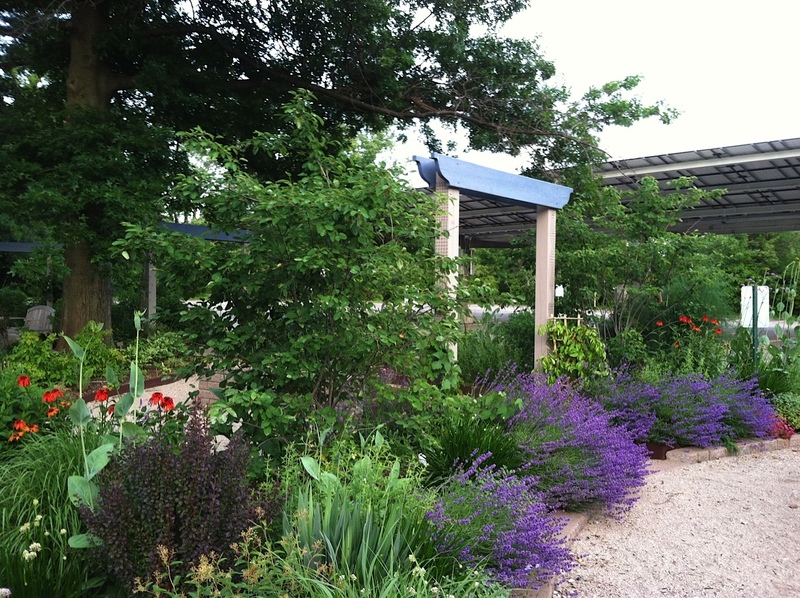 In combination with the new permaculture garden, the church has become a symbol of the congregation’s commitment to the interdependent web existence of which we are a part, one of the Unitarian Universalist seven principles. To check out the church’s entry into our Earth Stewards Directory, click here. 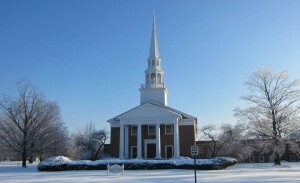 This entry was posted in Congregational Highlights. Bookmark the permalink.